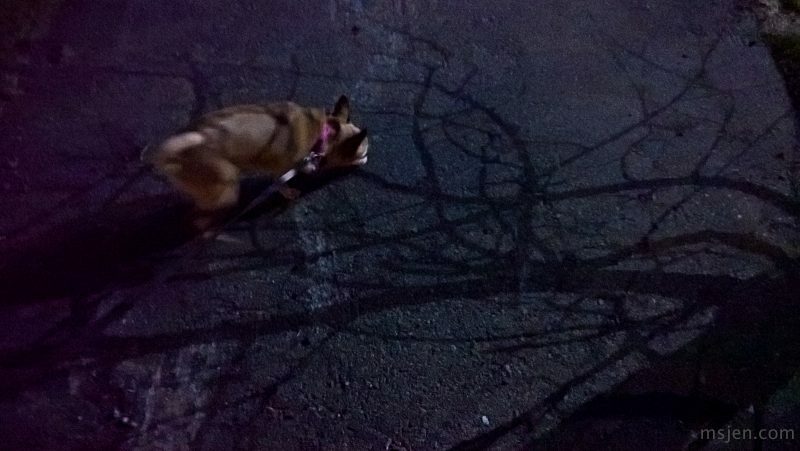 Posted January 11th, 2019 by Ms. Jen & filed under art + photography, tidbits. Fri. 01.11.19 – Here are a few articles to start your weekend out right. Happy Friday! 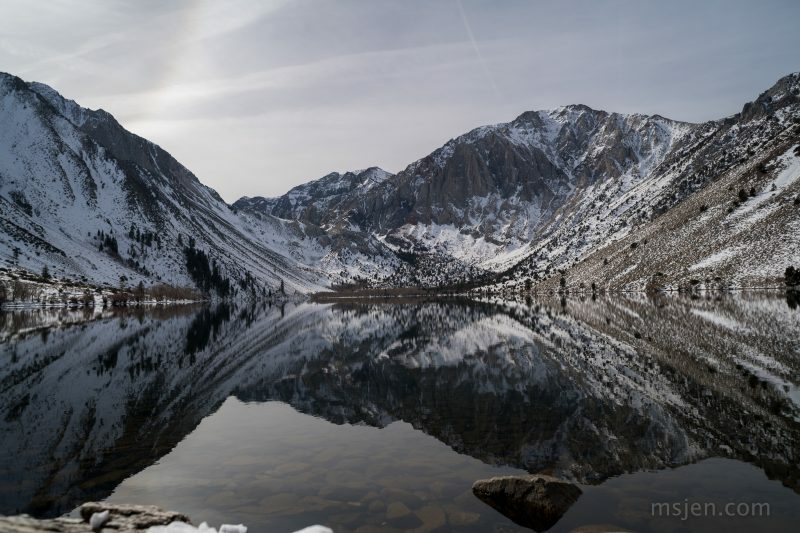 Photo of the Snowy Convict Lake Reflections taken by Ms. Jen on 01.08.19 with her Nikon D850 and a Nikon 50mm f/1.4G lens in Mono County, California. Posted April 2nd, 2017 by Ms. Jen & filed under nature + environment, oh, california. On another note, there were skiers who had hiked up Mt. 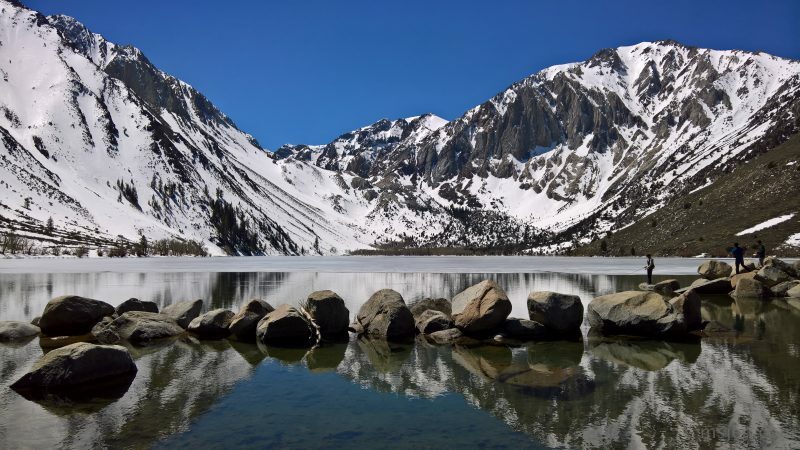 Laurel, skied down, and then hiked back to the Convict Lake parking lot in their Ski Boots!!! Ski boots for hiking the long trail around the lake – brave humans! Photo taken by Ms. Jen with her Lumia 950. Posted April 1st, 2017 by Ms. Jen & filed under fun stuff, photos + text from the road. Posted February 15th, 2017 by Ms. Jen & filed under nature + environment, photos + text from the road. 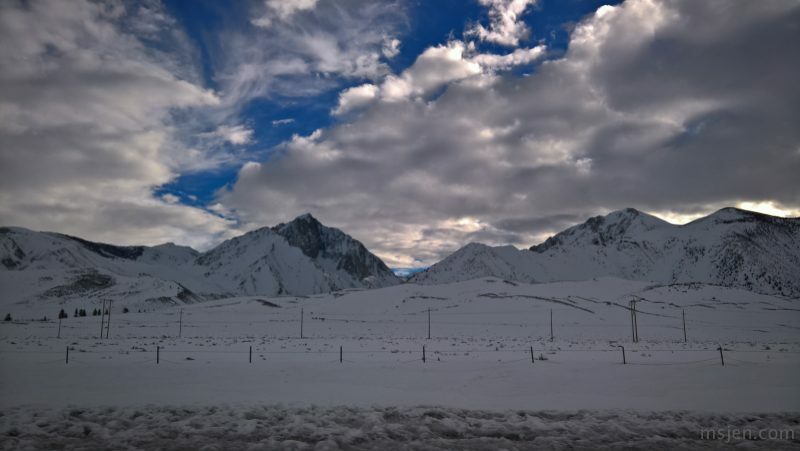 Wed. 02.15.17 – Photo of Mt. 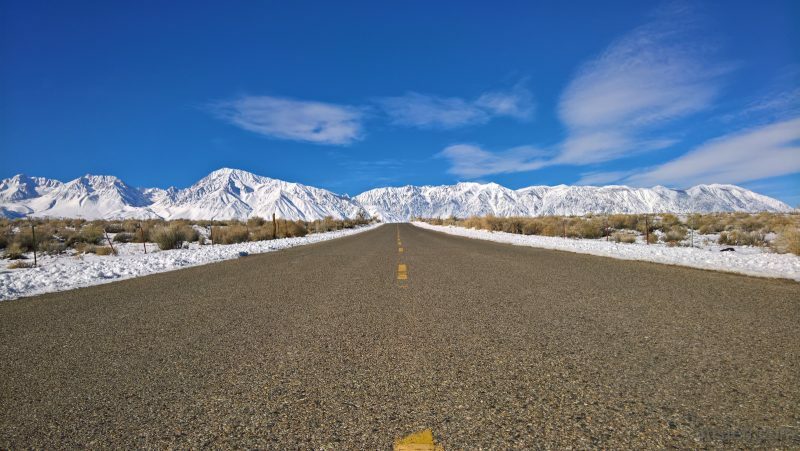 Morrison and the mountains around Convict Lake by Ms. Jen with her Lumia 950. Posted February 2nd, 2017 by Ms. Jen & filed under art + photography, nature + environment. Tues. 01.31.17 – Mars is also conjunct the Moon and Venus, but in this twilight is only visible at 1:1 magnification as a light dot. 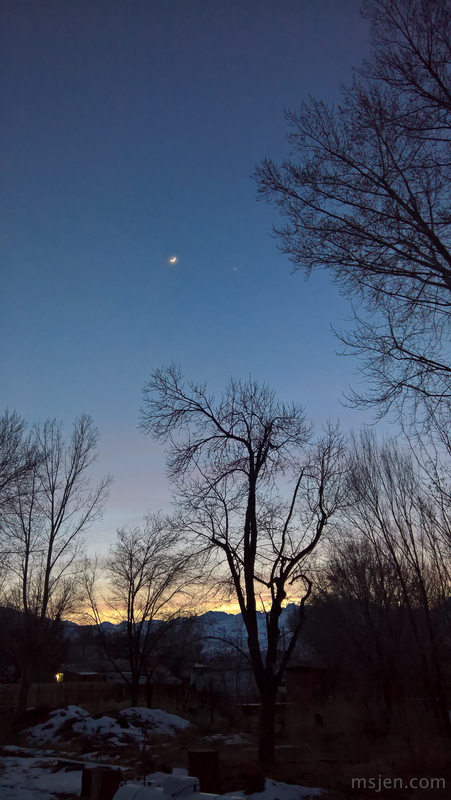 Photo of Venus and the Moon at dusk taken by Ms. Jen with her Lumia 950. Posted January 26th, 2017 by Ms. Jen & filed under art + photography, nature + environment. Tues. 01.24.17 – Photo taken by Ms. Jen with her Lumia 950 camera phone while out on a walk to enjoy the winter-y weather and snow. Posted January 24th, 2017 by Ms. Jen & filed under art + photography, nature + environment. Current Status: Visiting My Mom and It Is SNOWING!!! Posted January 22nd, 2017 by Ms. Jen & filed under fun stuff, ideas + opinions. 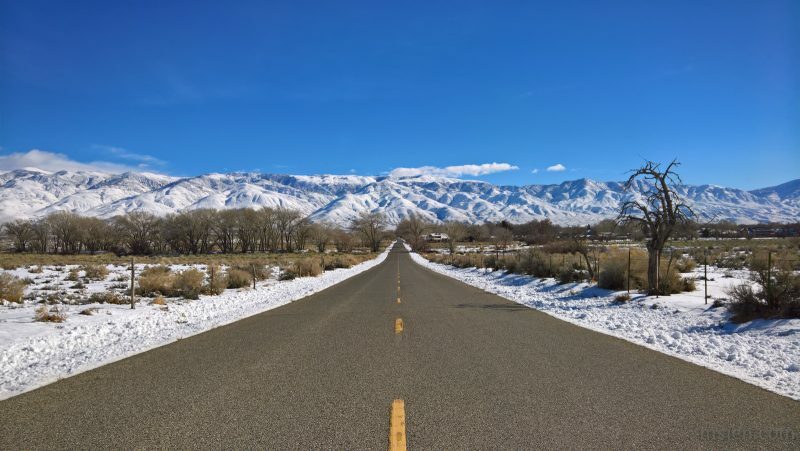 Sun 01.21.17 – I am currently visiting my Mom in Bishop, a small town in the high desert on the eastern side of the Sierra Nevada Mountains. Rain was predicted today and the current storm had other opinions on the matter. 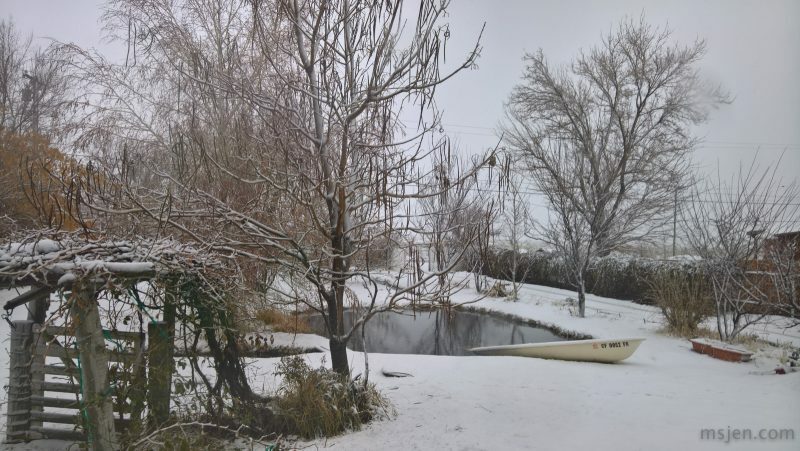 Photo of snow falling in my Mom’s front yard taken by Jen with her Lumia 950.